You are in for a treat! We play, move, breathe, and imagine, amongst other lovely things. We have fun, but we also tap into what’s deeper - we express emotions, connect with our friends, families, and our selves, and we leave feeling more balanced. 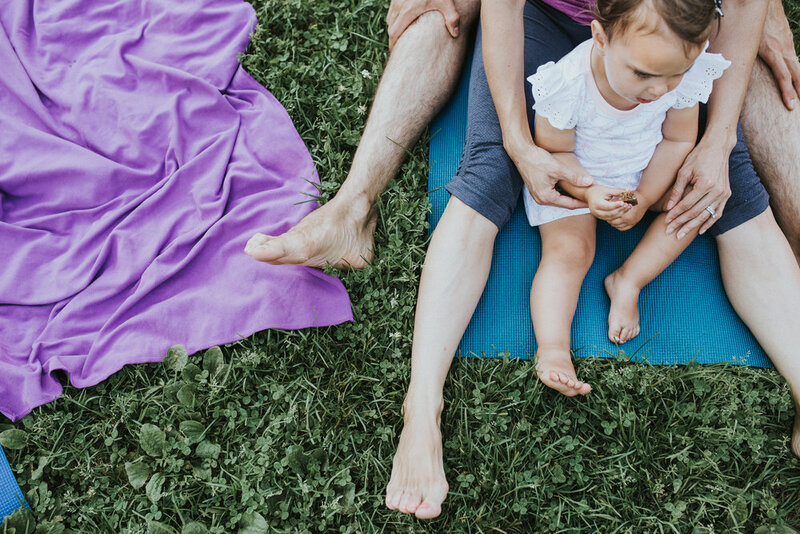 Yoga Storytime doesn’t require you to bring anything, it’s fun for the whole family, and it’s free! 2. You and Your Kids will Learn. If you have never been to a kids yoga class, and you’re wondering what on earth we do, this is a perfect opportunity to test the waters! Everyone will learn about breath, poses, animals, and expanding their wild imaginations! 3. You and Your Kids will Relax. Each Yoga Storytime will end with a short relaxation. Practicing to rest together with family members or caregivers has incredible benefits and reduces stress while connecting. We look forward to seeing you at Yoga Storytime on August 1, 15, 22, and 29. In the sunny weather we meet at Jimmie Simpson park along Booth Ave just south of the playground. If it’s rainy, very hot, or wet, find us at Queen Books (914 Queen St. E). Please note Storytime is cancelled August 8th. Please check our website or social media the morning of to confirm location.